To ensure you receive your admission in a timely manner, please read this page in full before applying. 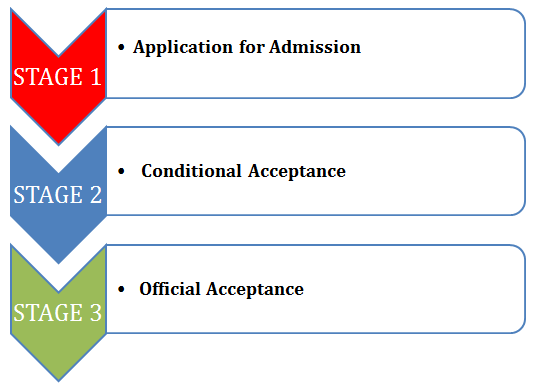 Make sure to and have all the required documents listed below and follow the requirement at each stage. Notarized copies of high school, college or university transcripts (see program prerequisites). Proof of English proficiency for International Undergraduate Students click here. English proficiency is not required if you are from an exempted country, see list. To apply to The Toronto Institute of Pharmaceutical Technology as an International Student, there is a non-refundable fee of $250 Canadian Dollars. If applying online, click the “Apply Online” button, complete the form, and pay the application fee (We accept Visa, Mastercard or American Express). Scan signed application and save as “TIPT Application-Your Name”. You will receive an email confirming receipt of your application and the non-refundable $250 Canadian Dollars application fee. Your application will be reviewed by the International Education Admissions Office, and you will receive notification of your status within 2 weeks. Once we have reviewed your Application, and determined your program eligibility, you will receive an email informing you of your eligibility for the selected program. This invoice must be paid before the expiration of your Conditional Letter of Acceptance. You may pay your tuition fee by credit card (complete the credit card authorization form) , by Western Union Transfer ( Payee TIPT) , or by International Money Order. If you are unable to obtain a student visa to enter Canada. A student withdraws from the program before it begins. TIPT cancels the contract for the program within 45 days of the start of the program because the student does not attend the first 14 days of classes. If you withdraw from a program after the program begins, you may be entitled to a refund of fees paid for the program, depending on how much of the program has been delivered by TIPT. In most cases, TIPT is allowed to retain 20% of the total fees for the program or $500, whichever is less, plus the fees paid with respect to the portion of the program that has been delivered by the college. Except those students from exempted countries, international students are required to supply proof of English proficiency. This is a mandatory requirement. All proof of English Proficiency documents submitted must be official. TIPT will accept documents that have been sent from the granting institution only. We will not accept emailed, photocopied, notarized or attested documents. (1) Leeward Island includes Antigua, Angulla, Barbuda, Guadeloupe, St. Kitts, St. Martin, , and the British Virgin Islands. (2) Windward Islands include Barbados, Dominica, Grenada, Saint Lucia, Saint Vincent, The Grenadines, and Trinidad & Tobago. By submitting this form, I agree that TIPT may call or email me. I may unsubscribe at any time.